Cybersecurity is an increasing concern for businesses. If someone hacks into your website or accesses your data, it could be disastrous for you and your customers. 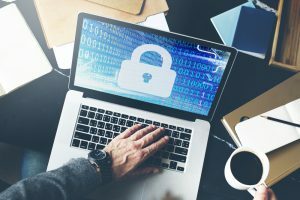 There are many types of cyberattacks to watch out for today, such as phishing attacks, viruses, and ransomware, when the attacker encrypts your data and demands a payment before you can access your computer once again. With all of these threats on the rise, it’s important to find effective measures to protect yourself. One of the essential components of an effective defense strategy is encryption software. There are several ways to implement computer encryption. Each has its advantages. File and Folder Encryption – With this type of encryption, the software only encrypts specific files and folders. This is best suited for a small business that doesn’t have a great deal of sensitive data to encrypt. Volume Encryption – This is a more thorough solution in which the software encrypts all data that’s saved to a certain container. Volume encryption is more effective if you have a large number of files/folders to protect. Full-Disk Encryption – This is the most comprehensive type of encryption as it protects an entire disk. It also works automatically so you don’t have to worry about remembering to protect individual files or instructing employees to do so. You have to decide whether to use built-in or third-party encryption software. Built-in programs are included in all modern operating systems such as Windows and OS. However, you must make sure that you’ve enabled encryption. With Windows, you have to enable Microsoft BitLocker. When you do this, you must also save a copy of your recovery key which is needed to unlock your disk. For Mac OS X, you have to enable Apple FileVault. You can then choose to store your recovery key with iCloud or store it offline. Third-party encryption solutions can replace or supplement built-in software. Companies that sell malware and anti-virus software such as Kaspersky and Symantec offer encryption solutions and also offer security suites that include it. There are also open source options such as DiskCryptor and VeraCrypt. Keep your passwords and encryption keys in a safe place. If you lose them, you won’t be able to access your computer. Be aware that hackers often target WiFi networks. If you use WiFi for your business, use WPA2 or Wi-Fi Protected Access 2, which secures your wireless connections. Always back up your computer to avoid losing data if encrypted disks crash or become corrupted. Create strong passwords using random numbers, letters and characters. Make sure all of your employees use complex passwords that are difficult to guess. Cybersecurity is an ever-evolving tactic and it’s important to keep up with new threats. Encryption software is an effective way to keep your business safe from cyberattacks. Another common problem that many small businesses face is lack of cash flow. One of the simplest and most powerful ways to improve your cash flow is to get invoice factoring, a process that lets you get paid for accounts receivable up front. Learn more about our alternative financing services available at Riviera Finance today.